We are passionate about creating items you love! Every item from Qualtry is uniquely personalized just for you. Each and every one of us at Qualtry loves to create, and are anxious to create something special for you! 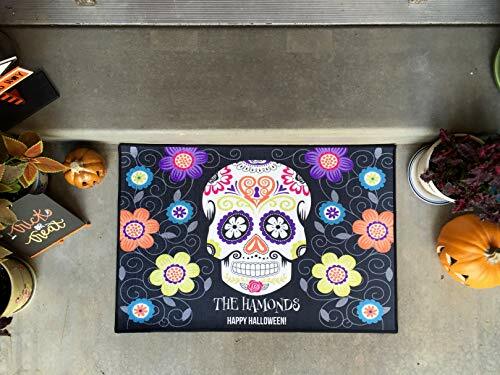 Get ready to welcome those spooky trick or treaters with your perfect Halloween welcome mat. Choose from several designs, and personalize your mat any way you choose. Click the Customize Now button to enter your pluralized last name. These are not only great for your home, but make fantastic neighbor and friend gifts as well. Each mat measures 36" x 24", and is made of 100% high-quality materials. When those trick-or-treaters arrive at your home this Halloween, they'll surely be spooked.